Dr. Guoqi Xie is an Associate Professor with the Department of Computer Engineering, College of Computer Science and Electronic Engineering in Hunan University, China, since 2017. He was a Postdoctoral Research Fellow with Nagoya University, Japan, from 2014 to 2015. He received a Ph.D. degree in computer science and engineering from Hunan University in 2014. His current research interests include embedded and cyber-physical systems, parallel and distributed systems, and software engineering and methodology. 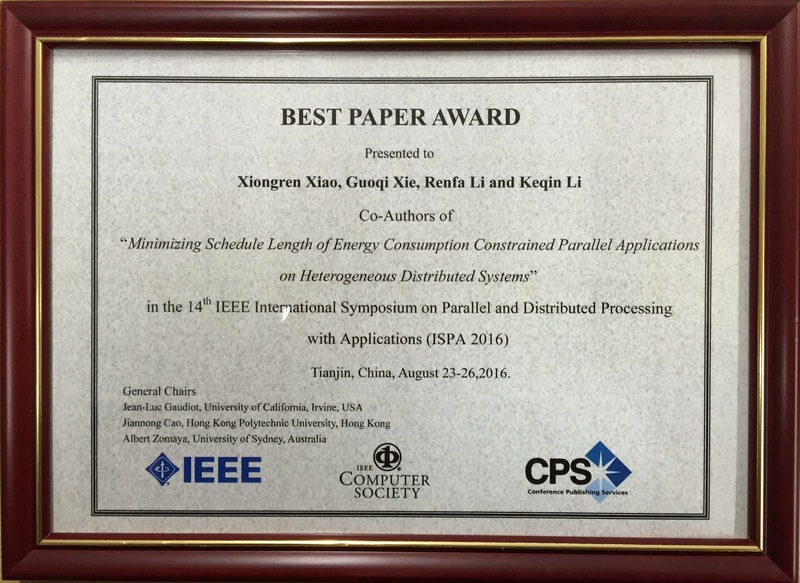 He received the best paper award at IEEE ISPA 2016 and the 2018 IEEE TCSC Award for Excellence (Early Career Researcher). He is currently serving on the editorial boards of Journal of Systems Architecture, Journal of Circuits, Systems and Computers, Microprocessors and Microsystems, and IEEE Access. He is an IEEE senior member and an ACM senior member.